I was finally a doctor. A real doctor! The year was 2002 and I had just graduated from medical school. After a one-year internship living in resident housing in La Crosse, WI, a small city famous for having the most bars per capita of anywhere in the U.S., I would be heading to The University of Florida to spend the remaining three years of my anesthesia residency as a Gator Sedator. Gainesville, a college town and something of a party town in its own right, had no shortage of student housing. But I wasn’t a student anymore, I was a doctor, a doctor who would be getting up really early, often working late and sometimes working nights for weeks at a time. I needed a place of my own. I needed a place of my own in the swankiest building downtown high above the din of the partygoers below. I needed a doctor loan, or a physician mortgage loan, specifically. Having taken out all the subsidized loans I qualified for as a medical student, I ended up with a little bit of money leftover, knowing I might need some down payment money, eventually. As an intern with little time off and incredibly cheap on-campus housing, I was able to save a bit more each month. I didn’t much time off for frivolity, and when I did, I knew all the best happy hour spots. The Friday night beer and pizza cruise on the Mississippi was a great frugal and fun option in the fall and spring. I somehow got connected with a mortgage lender and was introduced to the concept of the physician loan. I’ll go into more detail below, but a physician mortgage loan or “doctor loan” is essentially a mortgage with low or no money down, no private mortgage insurance (PMI), and typically a slightly higher rate. In a fall visit to Gainesville, I found the building that was just what I was looking for, and before long, a one-bedroom condo opened up. I got in touch with my mortgage lender, who had pre-qualified me before I started looking, and prepared an offer. Years later, after selling the place, I no longer have all of the documentation, but I do have a few emails and a decent memory of the details. Doctor loans aren’t just given out to anyone with an M.D., D.O., D.D.S, D.M.D., etc… behind their name. There are some criteria which will vary by lender, but the process didn’t go as smoothly as I had hoped. I was initially hoping to put 5%, or $6,000 down, on a $120,000 property. Apparently, that would have been fine in a single family home, but the lender could not approve me for such a loan on a condo in a building with five or more stories. They didn’t love my debt to income ratio, either. With an income of about $36,000, taking on debt of $114,000 on a place with association dues of $175 a month was pushing the limits of what they were willing to underwrite. And I did have that student loan debt, as well. Did they forget that I was a doctor? I’m good for it, you know! Eventually, I was approved for the loan with 10% down. By the time we closed, I had enough cash saved up for the down payment. It was late fall and I wouldn’t be moving in ’til the following summer. Fortunately, I had no trouble lining up a tenant in the interim via a property manager, a process that was in the works before closing. After I moved to Gainesville, I had a sweet pad above a mixture of office, retail, and restaurants. There was a prime steak joint and a Hooters that was later upgraded to an excellent sushi restaurant. And I lived basically paycheck to paycheck for three years. I did nothing but locum tenens work for nearly two years after finishing residency. Initially, I used the Gainesville condo as a home base, but I was eventually able to convince my wife to move our stuff out and rent the place out. As a homeless doctor, I knew we’d need a place to live when we were ready to settle down in one place. After all, we were expecting our first child in the latter stages of my full-time-locums years. We had decided to return to a hospital where I had first been a locum. They had been looking for a full-time anesthesiologist, and I would be the department head. We were told about the strong financials of the place and the fact that they were considering building a surgery center. I might even have an opportunity to invest! We found a great stretch of vacant waterfront property, and with the help of a 0% APR credit card, I was able to buy the six-figure property with cash. 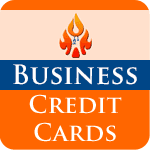 By the time we were ready to start building (while still away doing locums), the credit card was paid off, and I needed a construction loan. Did you know you can get a physician loan for construction? It’s true! It was arranged at a local bank (technically a savings & loan) that I was referred to by the hospital’s CEO. We were not required to put any money down, but the loan could not be made for more than the appraised value of the finished home and property based on the blueprints. Since we already had $136,000 in equity on the lot, we were able to get a construction loan for $490,000, the appraised value of the finished home on the lot, and about how much it was going to cost to build the house itself. In hindsight, we should have given the appraiser’s words a bit more consideration. You will find that the appraisal is considerably lower than the cost to build the home. There is two reasons for this. First of all, the home is somewhat overbuilt for the area, as most homes in the area are 1400-1800 SF ranches and most are older. Second, this segment of the market has been especially hard hit in the current poor real estate market in Michigan . 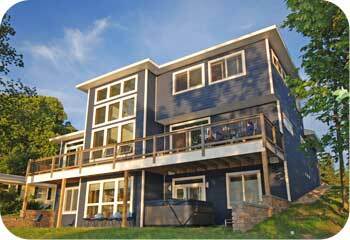 When you get in the $500,000+ price range, there are many more homes for sale than could sell in 3-4 years, therefore, there are many large, good quality homes on much superior lakefront sites that are for sale and it is a buyers market for these sales. I have researched many sales and feel that this is a pretty solid number for this home. Hope it is good enough to make the deal work. With the construction loan approved, I was able to build the three story, 4,000 square foot home of our dreams. Our forever home. A few years after we moved in, the hospital went belly up. I had refinanced to a traditional mortgage by then, and we held on to the property for several years, losing money as accidental landlords, and eventually sold the place for about $200,000 less than we had into it. With realtor fees, it was about a quarter million dollar mistake. If you’re not sure you’re going to stay in one place for at least five to seven years, you’re probably better off renting. I know that now, but I didn’t back then, and the break-even timeframe I recall hearing was three years. After having the rug pulled out from under our feet, we landed a bit awkwardly. I did some traveling locums work, but we now had a second baby, and it was no fun for anyone, including me, to have me working away from home. A new hospital was opening up in another state, and they had a great job opening. I had made some cold calls to places a little closer to where we wanted to end up, but I hadn’t gotten any strong leads. I took a chance and took that job. The job was great! We liked the town and the people, too, but given the remoteness of the place, it sometimes felt like we were on an island. Which was odd, because outside of a manmade lake or two outside of town, there was little water to be seen. For this move, we didn’t need to shop for a physician loan. I had the funds to make a 20% down payment easily, and this is the route we went. We bought a home in a desirable part of town, knowing that it would likely be easy to sell if we were looking for an out. The fact that this was a consideration should have set off alarms, but what can I say? I’m a slow learner. Within two years, a great job opened up much closer to home, at a place I had worked as a locum as a new grad, and we left my second “permanent” job after two years. We were able to sell the home by owner, more or less breaking even and recouping the money we had put into the home while living there. The math of how long it takes to break even definitely changes when both buyer and seller close without realtors. It’s a lot cheaper to pay property taxes and homeowners insurance than it is to pay rent on a comparable home for a couple of years. By this time, I was starting to feel like a collector… of homes. 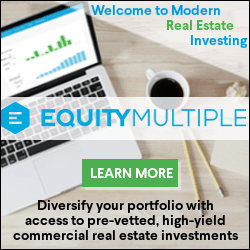 This is not the same as a real estate investor, because an investor purchases properties where the math works out well for profitability, using rules like the 1% rule and evaluating cap rates. These places did not fit those criteria, and it wasn’t even close. My collection when we were shopping for yet another home included the residency condo (now paid off and rented), the “dream home” (a seasonal rental), the one we were living in (under contract to be sold), and our cabin a.k.a. second home which was more like our fourth home if you do the math. I was carrying mortgages on two of them, and I wasn’t interested in a third mortgage. We shopped for a home we could afford with cash, and in a low-cost-of-living area in northern Minnesota, you can get quite a lot for your money. We ended up back on the Mississippi River with a few hundred feet of footage — I lived within a stone’s throw of the Mighty Mississippi in college, medical school, and internship — in a great mid-century two-story ranch with 3,400 finished square feet and a three car garage. Geographic arbitrage is a powerful thing. Shortly thereafter, we closed on the sale of the home we were leaving and eventually sold both the Gainesville condo and the dream home. We’re now down to two homes, but of course, we’re not done yet. We’ve got at least one more real estate mistake to make, if not several. I’ll never say never, but I don’t plan on carrying a mortgage ever again. I’ve been hoarding cash to build our next forever home (and should probably start a slush fund for the one after that), and with any luck, we’ll also be selling the house we’re in now this summer. What is a Physician Mortgage Loan a.k.a. Doctor Loan? Simply put, a physician mortgage loan is a **surprise** mortgage, but with a low or non-existent down payment without the need to purchase potentially costly PMI. For the privilege, you may pay an extra 0.25% to 0.5% or so on the mortgage rate, but will avoid the private mortgage insurance payment of 0.5% to 1%. Obviously, it’s a break-even proposition when looking at paying an interest rate of 0.5% to avoid a 0.5% PMI, but it’s a big advantage to pay an extra 0.25% on the mortgage interest rate while avoiding a 1% PMI. 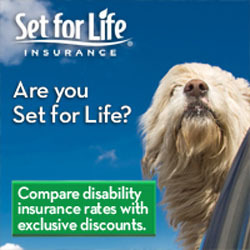 The specifics matter, and you’d be wise to shop around. Another benefit is that there is often no additional interest rate increase for a “jumbo” or above-average loan amount with a physician loan. You’re also more likely to be qualified for the mortgage than most people who cannot afford to put down a 20% down payment. 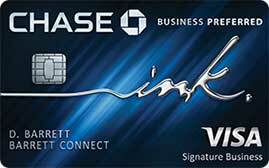 The banks know you’re a low risk given your high income and relative job stability. Should You Use a Doctor Loan? The main “advantage” of using a physician mortgage loan is the fact that you can buy a home sooner than you would otherwise be able to. This, my friends, can be a double-edged sword. Most residencies are barely long enough to allow you to break even when consulting a rent versus buy calculator. Also, keep in mind that many (if not most) physicians leave their first job in the first few years, and before you move somewhere, you may not yet know that the best part of town for you will be or where the best schools are located. On the plus side, I really don’t like moving, and several times, I was willing to purchase a place rather than rent first to avoid having to move twice if we were to stay. While it didn’t necessarily work out ideally for me — I did not expect to have three “permanent positions” — I made mistakes I could afford to make due to my solid income and a high savings rate. Somehow, despite our unwise choices, we managed to become financially independent within ten years of finishing residency. If, like me, you’re not willing to wait until you can put 20% down on a home, a physician loan can be a viable option and one that’s not available to much of the population. If interest rates remain steady or drop and you know you’ll be staying long-term after you’ve been in your home a year or two, you can always refinance to a traditional mortgage with 20% or more down. However, understand that renting is likely the better financial option unless you’re fairly certain you’ll be in the home for at least five years, if not longer. Also, be sure you’re buying in the neighborhood you’ll want to be in. Proximity to recreation, good schools, and especially for doctors, proximity to your workplace can be vitally important. It can take some time to figure that out, and you can’t just rely on the internet for the inside scoop. 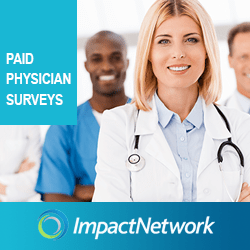 Where Can You Find a Physician Mortgage Loan? If you’re looking for assistance finding a realtor and a great mortgage rate, my good friend Dr. Peter Kim, a.k.a. 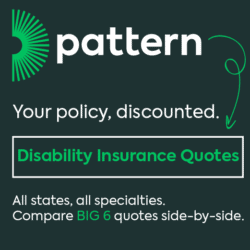 Passive Income MD, has a free concierge service you may want to look into. 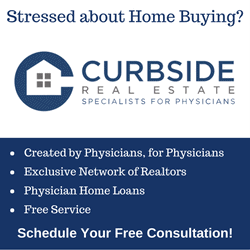 Curbside Real Estate works with a nationwide network of vetted realtors and lenders to simplify the home-buying experience for physicians. Visit Curbside Real Estate to view a video from Dr. Kim to learn more about how his service works. As an added bonus, my readers will receive a $100 bonus at closing if you choose to use their services to purchase a home. 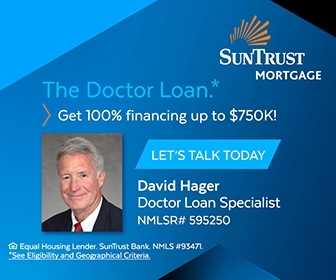 Have you taken advantage of a doctor loan? Did you choose to rent instead, or wait to buy until you could afford a 20% down payment? I have owned 3 homes and taken out 3 physician loans. I too am on my 3rd permanent job, and looking at housing yet again. This time I am debating between paying cash vs a traditional 15 year mortgage. Sadly property is not cheap in my current city. Doctors loans are definitely andouble edged sword and I ask any house staff thinking about it to think twice. There is little reason to jump into home ownership during training. A three-timer looking for a fourth home. — sounds a lot like what I’ve been through. In your case, I’d probably go with a 15-year mortgage. I wouldn’t tie up 1/3 or more of your net worth in your primary home. If, on the other hand, the house would be a smaller percentage, say 1/5 or less, I might opt to pay straight cash, homey. I just made those numbers up on the spot — there’s no magic behind those ratios; just based on the decision-making process we went through five years ago. $300k was the most I would pay in cash. Sounds fair enough! Will see what happens here soon. We just purchases a home with a physician home loan. We saved 0.5-1% on the PMI. Then, we got a “jumbo” package to save 0.25% (only $1,000 more than what we were going to offer), a 15-year ARM to get another 0.25%, and opened a high-yield savings account at the bank to save another 0.25%. So, I feel like in today’s rising tide of interest rates we made out like bandits. But, you better believe I talked to Peter before I did that 🙂 He is a great source of information even though I live in the south and he is located out on the “best coast”. I will say that renting during medical school, residency, and for the first year or two when you get your new job makes the most sense… it is almost always the superior option to buying. Moving twice isn’t the funnest experience, but it is the one filled with the least regret. Being in academics, I cannot tell you the number of people who come back to my hospital looking for a job after a couple of years in their first job when it didn’t pan out like they thought it would. Sounds like a good deal all around. I hope you’re able to make a dent in that mortgage with the proceeds of your highly-anticipated book! Good to hear Peter hooked you up. I consider buying the two homes I did during residency big financial mistakes as well. It is funny but I too was told that if you are staying in a place for 3 years the math would work out in your favor with buying over renting (but I believe it should really be upped to 5 years to be safe). I “had” to buy 2 homes because I switched from a 5 year surgery residency program to a 5 year radiology program in my 2nd year of surgery. The first home, surprisingly, I did well on even after staying there 2 years. It was the 2nd home that I took a beating on because of the softening of the real estate market when I moved to my now forever home (12 years and counting). Physician mortgage doc loans are indeed a double edged sword. The bank and you are basically banking on the fact that you will make a lot of money later to compensate for your poor debt to income ratio. Often times it works out fine because it goes according to plan, but it is never a guarantee. My advice to residents is definitely rent during your training and it would even be wise to rent for the first year or two of your initial practice as an attending. You will then know the patterns of traffic, the desirable school areas, etc better before you make a more permanent play. Plus in those extra years you can really build a great down-payment fund. The time will also give you a chance to see if the practice is really a good fit after the honeymoon period wears off. The smart move would be to own housing close to a university hospital as an attending and rent to professional students and residents. Fascinating story. I’m sorry to hear about your early purchases and losses. As you say, borrowing the full cost of a property is truly a double-edged sword. On the one hand, it frees you of a liquidity constraint that doctors inherently face by having low (or negative) income for many years before suddenly high income. On the other hand, there’s no inherent mechanism for keeping the size of your purchase in check — the 20% down often acts as a behavioral check to make sure you can afford it (though, as we all know, many people have overextended while putting this much down too). To me, your overall point isn’t about a physician loan versus a conventional loan. It’s more about the advice of renting unless the timeline is long enough or there are compelling reasons otherwise. It’s good advice for most people, and contrary to the typical advice of buying a first home as soon as you can. We’ve always been homeowners instead of renters. With four children, I’ve put high value on stability and not letting any landlord be able to kick us out of our house — what if we couldn’t find another home in the same school zone? Maybe I’m overestimating the likelihood of that if we were to rent. Or maybe I’m oversensitive to that risk. Hard to say. Great insights from your personal journey. Thanks for sharing! Don’t cry for me, Argentina. We’re doing just fine in spite of ourselves, and we’ve lived in some very nice places while only having to move to a new home when moving to a new state. I think you’re totally right in that the bigger decision is whether or not to but at all, and how much to buy, rather than whether or not to use a physician’s loan. If it makes sense for where you’re at, the slight premium you pay in mortgage interest is not going to make or break your financial plan. Ha! Great response. Thanks as always for the good insights! Lol, I was the guy who bought a 60 year old physicians “dream home on the lake” out of foreclosure. Definitely better to be the guy after the guy. Funny at closing they were dumbfounded that a 39 year old “kid” was writing a 7 figure check to pay cash in order to have a paid for home. He and his wife were essentially starting from scratch again due to a culmination of poor financial decisions. I used it as a lesson learned to never be that guy! Good for you, young man! I paid cash for my current home, but it’s not worth anywhere near a million dollars! In a different location, I suppose it could be, though. If I had been further along in my career when the housing market crashed, I might have been intelligently greedy and snapped up a few foreclosures myself. I remember seeing Florida condos selling for 1/3 or less what they had been going for a couple years earlier. Yep, that’s why I hate when people say you shouldn’t take money off the table or “keep some powder dry”. You can dramatically increase your net worth when you are able to be opportunistic. I used a physician loan to buy hopefully our “forever home” although after reading your story I feel the need to put that in quotations. I actually used the physician loan to expedite student loan payoffs. The key was to not get the physician loan straight out of residency. We rented a very cheap single family home for 2 years out of residency. During that time instead of saving up for a down payment for a house we funneled that money toward student loan payments. We knocked out 300k of student loans @ 3.5% during that time. Once they were near paid off ended up with a 0 down 3.125% physician loan. We exchanged student loan debt (non secured) for mortgage debt (secured and at least tax deductible). Could we have waited another 6-10 months to save up for down payment? – Sure but at that point we had already proven we could be financially responsible, and have not regretted it. It also allowed us to invest more aggressively, which has still come out ahead of downpayment despite last years returns. The physician loan certainly came in handy for you, and at 3.125%, it’s hard to complain about the rate! Personally, I’m glad we’re rewarded for our high income and relative job stability with the physician loan option from the banks, and I’d say you did it right, renting for a couple years and knocking out those student loans. Fine Sir, as a fellow gator Gasser (’02) who has changed jobs every few yrs I would like to heartily emphasize 2 points. A) dealing without realtors is huge and b) if you need a doctor loan to get a home you are probably better renting. Our first was a trailer (where the Carrabas is now) and the lenders weren’t keen on letting me borrow the $5k for the 20 yr old single wide, Dr. or not. Forced me to take up a side gig and earn the cash. 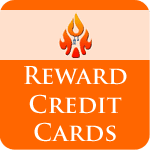 Definitely helped get me off on the right foot with no debt! Another Gator Sedator! You were graduating from residency when I was just starting my intern year up north. I’m sure we know dozens of people in common. Both our last sale and the purchase of our current home were done with no realtors representing the buyer or seller. Just handshakes and some help from the title company. Compared to traditional 6% to 7% realtor fees, we saved about $40,000 on those two transactions. I use a Physician loan to purchase a home during residency. Rent was artificially high in the area during a Fracking boom making the purchase seem like a better idea. It did not end up being as good as I hoped but we did not lose any money either. I did learn a lot about home ownership that has helped me going forward as a bonus. The oil boom really jacked up the fracking rent up there, didn’t it? Best to learn lessons in home ownership in a house you can afford as a resident. Many docs learn their first lessons in homes costing in the upper 6 or 7 figure range. 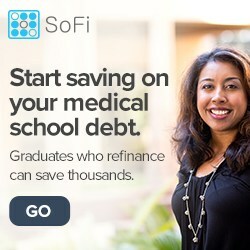 I am currently in a 3 year fellowship and went for a doctor loan. We knew the area quite well and thought there was a good chance of appreciation in value. We calculated the cost of renting a humble 2-3 bed house in the area vs the cost of buying, updating, maintaining, and selling the house and found a rough idea of the “break even” point we would have to sell at in order to spend as much on owning a house vs renting in the area. We bought a $210K house with 0% down using a doctor loan. In the 2 years since then our house has significantly exceeded that threshold, by approximately 20-30k based on current comparable sales. We have been pleased to see that. Then I realized that 20-30K is essentially 1 month of income as an attending in my specialty. We bought a $210k house, so the numbers are not super high risk if we sold below our “break even” point, however, in the context of such a high future income I am not sure that it is such a huge deal either way. 3 years ago I would have been overjoyed to think we would come out 30K ahead, but today, I think that given how much money will be coming in after starting a full job, it is less impactful. The same argument could be made if we had lost money, though. As long as the property is $250k or less the absolute amount lost is not likely to make a huge impact on future wealth. I’m pleased to hear you’ve done well, and it appears you knew what you were getting into. The point you make reflects what I’ve learned. As long as you’re buying a home within your budget, you can easily recover from a number of five-figure or even low six-figure mistakes given your doctor income. People wonder how I managed to become FI in 10 years, and I promise you, real estate had very little to do with it! With the exception that I’ve never bought or built a home as an attending that was more than two years’ salary. In fact, 2 of 3 cost me less than one year’s salary, and the big build was maybe 1.6 or 1.7 times my salary at the time. We are looking to buy our first home and should have enough for a 20% down payment if we keep to the budget. the area we are looking in is stupid expensive and the anti-FI/anti-geo arbitrage. So having a nice home without 1970s pink bathrooms for under 650k is a tough find. I just put up a post about how we came up with a budget for the house! Hopefully we will find a place soon! That is a serious challenge. I hope you’re handy with home improvement. DIY might be the best option for a pediatrician in a HCOL area to have a great home at a price point that doesn’t make FI an imaginary construct. It would be interesting to see the numbers and any potential crisis at a couple of lower savings rates, as well as qualitative analysis of how your decisions would have changed in those scenarios. It sounds like the high savings rate allowed you to make and recover from these mistakes without feeling like you were living paycheck to paycheck, despite paying on *multiple* properties. 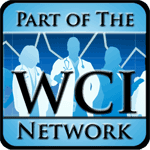 What would it have looked like if you had the WCI recommended 20% savings rate as an attending? A 0% savings rate? Hope to see how Drs A,B,C,D, and E handle it. 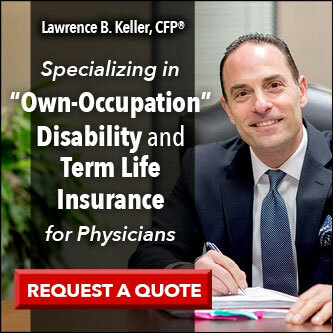 The choice to take a physician loan is not an easy one but one that for me was a great financial decision. I moved to Denver in 2010 and bought a home for $400,000 with less than 5% down and a 5/1 ARM starting at 4.7%. In Denver at that time $400K got me a 1400 sq ft home – now it won’t buy more than a 1/1 condo. After about 1-2 years I refinanced to a normal 15 yr mortgage at 3.0% interest and paid this mortgage off to $250K in the next 4 years. In 2017 I sold that house for $600,000 and had only put a few thousand into small repairs. Despite realtor fees (total 2.8%) I still made out nicely. The physician loan clearly worked out very well for you. My first physician loan on the Gainesville property was also a 5/1 ARM. I got lucky with that one as interest rates actually went down once the 5 years was up and the rate was no longer fixed. You bought into a hot market and as you mention, once you do have enough to put 20% down, it can make sense to refinance as long as mortgage rates haven’t increased significantly. If this isn’t a great example of how having a high income can let you recover from a multitude of financial missteps, I don’t know what is. Our medical degrees allow us to conjure up cash in a hurry when things don’t go to plan. I would definitely keep that medical license active until your 5th “forever home” makes it past the “sometimes home” mark. As I read this on a cold 17 degree day what surprises me most is that you left Florida for the artic tundra. Surely there is a ice rink in the Florida Keys with a decent curling club! 1) What kinds of questions should one be asking a lender if they are considering a physician loan? 2) As a military resident I have an option to live on base and forfeit my allowance for housing ($1660/mo) or live off base and keep it as part of my pay. During a 4 year residency that is close to $80k of non-taxable income. Does it make more sense to buy a home in this situation, especially since renting would be as much or more than a mortgage? It’s completely endearing and relatable that before you became Physician on FIRE you were Physician Under Water. Thanks for making the rest of us dummies feel like we stand in good company. We are currently saving a down payment for a home in a moderately priced city in the south. We just move from the northeast and really aren’t in a rush to tie ourselves down before I get the lay of the land at my new job. The 0-5% down payment is tempting. As someone commented above, I feel it may be behaviorally enticing to buy more home than you normally would have with a conventional down payment. However, there is opportunity cost to the down payment go to your primary residence (which most of us don’t consider a true asset). We’ll have to see what fits our situation best. Great insight from a physician’s point of view of the Doctor Mortgage Program. I have been making Doctor Loans for 15 years and you are right they are not for everyone. The positives on the program is that they are a 0 to 5% down with PMI. 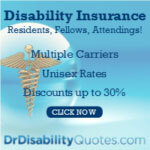 It does help a physician to purchase a home without having to save the 20% for the down payment. As you said, this could be a good thing or a bad thing. I have had situations where the borrower has had the 20% to put down, but did not want to pull it out from their investments. Their rate of return was so good that it didn’t make sense to liquidate their assets. So you are right, it depends on your situation. Thank you and look forward to your next post.